Equalizers are the most commonly used and misunderstood tool in an engineer’s toolkit. The ability to bend, shape and carve frequencies at-will is an audio superpower not to be taken lightly. 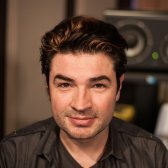 It’s important that sound engineers understand what is going on behind the knobs and fully understand the impact of what every EQ parameter can have on a sound. Learn the theory and concepts you need to know about EQ controls and parameters so no matter what EQ is put in front of you, you’ll be able to mold the sound to your liking with no second guessing. 08:08 - Types Of Qs - What Are The Differences ? 16:20 - EQ Character - Parametric or Shelf ? Good morning children! Today we're going to talk about EQ controls. That's what the video is called, 'Study of EQ controls'. I know what you're thinking. It's riveting. I know you're thinking that you already know everything about it. But based on the settings that I've seen some of the sessions that are sent to me by my clients, a little brush-up could help some people. So, we thought we'd put it together. Plus, it's a really good companion to the study of compressor controls. There are many different kinds of plug-in EQs. But in the end, they all do the same thing. They look different, they sometimes feel different, some of them sound different. But overall, they do the same thing. They EQ stuff, what does that mean? EQ comes from equalizer. I'll let you think about what that does. So it was invented to be able to fix the sound of badly recorded stuff back in the day. Or to make things brighter when tape was making it to dark. Or make it brighter to be able to broadcast further on the antenna and stuff like that. Basically someone had to invent a way to even out sounds that were altered by different kinds of processes. Now, over the years, more and more features have been added consequently more and more controls have been added. Your parents do, your grandparents do. They have a receiver or a car, right? On the receiver there are two buttons: Bass and treble. If your grandmother has the bass on stun she's a cool grandmother you should also get her some Beats by Dre headphones. Although they all do the same thing, they all do it in different way. Which is the point of this video. The idea is this: Once you're very very clear on what goes on when you turn those knobs, it won't matter what the knobs look like, where they're positioned and what they say. Because you'll always be able to figure out what to do to get the sound you want. A good place to start is the built-in EQ of your DAW. They all have one and they work fine and sound fine, contrary to popular belief. Let's pick one, Cubase, no. Let's start with Pro Tools. Pro Tools these days has these guy, it's called EQ 3. I'm assuming it's the third version. This is actually very full featured. So we can look at this and learn pretty much the entire set of controls from this. By the way this is the standard edition of what they call a parametric EQ. Why is it called parametric? Because it has parameters that you can adjust. Sometimes they call it semi-parametric. What does that mean? They have less parameters so they're not as parametric because they don't have as many parameters. On the upper left and right is input - output. Don't underestimate the power of an input and an output level. An EQ, like any other process, works best at certain levels. If you get into the process very very loud you don't have a lot of places to go because you have no headroom. Let us not forget this very important thing. An EQ is a fader. Full range mix that goes from 20 to 20K. And maybe you have 2 dB of headroom left. So your peaks are at -2, all the way up there. And say it's not fat enough because the drummer said so. What you're gonna do? It's just a mix. You don't have control over anything. So you're gonna put an EQ over the whole mix. And then you're gonna start raising the bass. So, say you're gonna put a shelf, I'll explain that in a second, at 100 Hz and you're gonna give it 2, 3, 4, 5 dB. What happens when you go over 3 or 4 dB at 100 Hz on a fat mix that only has 2 dB of headroom? You clip. So, having an input knob is very nice in a chain of events, to be able to lower the input to give yourself some headroom inside the plug-in and then, you can adjust the output to be able to hit the next plug-in or your channel at the right level. I don't see many people doing this unless the DAW is screaming at them, but this is a really good feature to have. I wish all EQ plug-ins did. They don't. And most hardware EQ don't. Let's move on to the mid frequency EQ band here. We all know and love this controls. There's gain, frequency and Q, otherwise known as bandwidth. So, I'm not gonna insult your intelligence. Up is more, down is less. Any questions? No, thank you. This is where it gets more interesting. The frequency knobs points to the center frequency that your EQ is gonna target. It doesn't mean you're equalizing just that frequency. Like here I have 732. This doesn't mean I'm gonna give 13 dB at 732 and everybody else is gonna go back on vacation in peace. The Q knob affects how much of the bandwidth around the center frequency is touched, we're gonna discuss that in a minute. From what I've read around places, and from my discussions with people in real life, a lot of people really like to hang on to the belief that if they pick 732 and they raise 6 dB, they are raising 6 dB at 732. It will never happen because of the ever present and annoying laws of physics. Which we can't alter yet. We're working on it though, but we can't. There's no quantum equalizer yet. Right now you have a good old equalizer where when you raise 732, 6 db, 732 gets raised and then there's a bunch of frequencies on the left and the right of 732 that get raised also. And that is controlled by the Q or the bandwidth. The wider the bandwidth, the more the spectrum is touched by the EQ. The tighter the band, the less. However, even though you can get pretty tight with digital EQs, there are limits because of the aforementioned laws of physics which means you can't get to one frequency at all. Also, there are some sonic limitations. Very very narrow Qs with very high gain tend to ring and sound genuinely offensive. Consequently it's not always a good idea to do this. This means that you went down the rabbit hole. Super narrow Qs trying to remove frequencies you don't like. And then you do another one, and you do another one, and another one. The reason why that's happening is because you're using super narrow Qs and you're removing the frequency you don't like and you're really happy. This is wrong too'. And then this is wrong too, usually an octave apart, and this is wrong too and this is wrong too. And then you end up with this Swiss cheese which, invariably sounds like garbage. One of the possible reasons you find yourself in this situation is that the material is badly recorded. So there are some standard behaviors to adopt in this situation. Case number 1: You did not record the badly recorded stuff. The standard behavior here is to blame whoever recorded it heavily to your client and move on and try and do this. And if it sounds bad just blame. Behavior number 2 in case number 2. In case you're the one who recorded the badly recorded material. What I recommend you do is you re-record the badly recorded material. That's the only way you're gonna get it to sound good. Because this, ain't it. There is more to discuss about Q. They're not static things. Well, they can be, but they don't have to be. If I look at the Oxford EQ, there are four different kinds of EQ types. In this one global EQ plug-in, you'll notice that if you compare to the built-in Avid EQ, that's the same thing. Filters, here and here. And then 1, 2, 3, 4, 5 bands. 1, 2, 3, 4, 5 bands. And here you have, gain, frequency and Q. However, there are things that are maddening from EQ to EQ. Even though the controls are the same they're laid out differently. at 700 Hz, if I want a wider Q, I have to go to the right. Here, if I go to 700 Hz or any frequency, and I want a wider Q I have to go to the left. So when you switch from EQ to EQ, anything that you have automatically in your fingers, is not gonna work. Which is why people develop a certain affinity for certain EQs. Because they work their brain works, or not, and provides them with a challenge, or not, and helps them think differently about the program material. The reason why I brought the Oxford EQ is because it's very easy the difference in Qs because of the difference in types. The Avid EQ only has one type of Q. And it's semi proportional, it's kind of proportional. If you look at the Oxford EQ, it's very different. Type 1 is a very digital EQ. With the standard knob proportional Q. Meaning, the higher you go in gain, the Qs stays the same. There's no adaptability to it. It's easier to see maybe at a lower Q range. There you go. That's it, you use to see this happen. Somebody a while ago was using an EQ and paying attention and found out that, maybe when you're using small gain increments, they just needed a little bit of a touch but broader, but then when you use a lot of gain, or a lot of cut, it's because you're bothered by one frequency. What if you could have an automatic Q range that would follow that?' Well, there you have it. Of course, that's on top of the existing range. That's where it gets a little complicated. Say you choose a very narrow Q and give it some gain. Because you are on the proportional, type 2 here on this Oxford EQ, you will get narrower and narrower as you get up. With the end point being whatever Q you decide here. If you start with a wider Q it still gets narrower and narrower just not as narrow. So you have to understand when you use proportional Q EQs that you're basically setting a target Q. And you're aiming towards that Q. Which means that this settings and this readings mean absolutely nothing. Why? Because, if you're using proportional, and you're only adding 2 dB of gain, you're not gonna get a full 2.26 Q range because this is proportional and it changes over time. Does it matter? Absolutely not. Does it sound good? That's the question. Say if you go to number four here. Which is a very wide Q akin to old Pultec style stuff. You noticed just how wide it is and how wide it can get. Literally almost the whole bandwidth. Now, this is the same frequency. This is the same gain. And this is the same Q as this type. Notice the difference? So you have to be careful what you do. Here's how I recommend you think about it since you're now potentially getting confused and worried that you're not doing the right thing. It's probably a proportional Q and it's probably designed by people who wanna make sure you don't screw up. Start with the default Q setting at all times. Fix it. And then, even if your happy, play with the Q at that moment, just to see what it does. And over time you will develop a taste for what that does. So, I repeat. Pick a standard, for the Oxford I recommend type 2 or 3. Pick your frequency. Be happy. But don't leave now. You're happy, that's great. Could you be happier? Play with the Q at that point and listen very intently. If you have an EQ like the Oxford that has the ability to have 2 settings you can alternate between the two settings. And listen very intently without having to focus on moving the buttons, which is really practical. So, I said DAW EQs. Let's go to Logic. You noticed here? This is the channel EQ, this is the one that if you double click on any EQ window in Logic this comes up. And it has the exact same stuff. And there you have it. This is clearly a proportional Q, as you can see. So basically, there is no difference between this and this. It's just laid out very differently. You noticed that this is trying to imitate the past. Knobs, displays and a separate graph. This wants to be very futuristic. In the end, it does the exact same thing. Except here, you don't have knobs. You just have a little thing like this. Little dots. Fields, that you can alter. But in the end, the end result is the same. There are many different models. This is future. This is anchored in the past. Or, as they probably would say, tradition. Let's look at Studio One. And you have the exact same controls in the other two. And you can notice that this one is fixed. So which one you like best? I don't know, it depends on your taste. Is this one gonna sound different from this one? Which is gonna sound different from this one? They're probably gonna sound a little bit different based on the personality of the person who programed them. Are they gonna sound vastly different? Not these days. And this is turned fiercely towards the future. Meaning, they don't have knobs. It's a computer, it doesn't have knobs. So they have a graph. You could grab frequencies like this too. This is a hybrid of tradition and modern. Because it didn't have any graph. Same here. So this comes from one sensibility. And this is the more modern approach but it's the same stuff. You noticed that the proportional Q here is not an EQ type. You could decide to have Q coupled. Or not. Q coupled means when it's on, means that you have a proportional Q and when it's off you don't. Start with it on. It won't hurt. Studio One, there you go. Coming from tradition, with a graph. Look at this, we've seen this before. Five bands of EQ, two filters, gain, frequency, graph. We're in familiar territory. What kind of filter is this? Good question. Because that's the easiest to use and the one you can't screw up with. Cubase is interesting because they decided that it'd be a good idea to have an EQ built into the channel, just like consoles. So it's not a plug-in but it's a plug-in. Does it sound different from a plug-in? Probably not. Is this gonna be lesser because it's built into the DAW then if you had the plug-in? No. A lot of people think it is for some reason I'm not sure why. This is a digital EQ. If you grab the center frequency and remove 10 dB at 500 Hz you're removing 10 dB at 500 Hz. Your Q is here, you can do your work. There is no guarantee of quality because the plug-in is expensive or it comes from a name that you've heard before. EQs are no different than cars. You probably better off buying your EQ from BMW Rolls Royce or Renault then from a dude who just made one in his garage. But these days, it's really hard do buy and EQ that's not gonna help you EQ stuff. Everything is pretty good, at the very least. Alright, so let's switch back to Pro Tools. And look at this thing here. Let's reset this, this is offensive to my spirit. There you go. The green, the yellow and the orange are parametric. Can be switched between parametric and shelf. So, if you switch the blue band to parametric you just get one more band of this stuff. If you switch it to shelf you get this new type o EQ that allows you to raise broad bands of spectrum as opposed to just focus on one frequency and whatever the neighboring frequencies are. This is very useful, as you probably know, to be able to raise big portions, make something brighter or, at the bottom, make something globally fatter. This is a good setting for bass drum, if you want a bass drum to be fat you're raising everything below 104. Don't forget that this EQ is subjected to the same abject laws of physics as the other type, parametric type. It's not just from 104, there's a little bit of above 104 being touched. How much of that depends on the Q. If you have a very wide Q then even though your frequencies is 104, it's gonna get touched all the way to the 500, 600 range. And as you narrow the Q, you can get less ripple effect if you will or less spilling effect on the frequencies above whatever frequency you chose for your shelf. However, again, there are physical limitations to this. As you go higher and higher in Q you will start noticing that there's a dip at the knee right here, at the turn around frequency. Because of how the stuff works you get a little bit of an overshoot here, at the turn around frequency, and a little bit of an overshoot over the turn around frequency. This, before people had graphs, confused a lot of people. But now that we have graphs, take a look at it, it's pretty close to what's going on in real life. You don't really need to know anymore other than pay attention to what you're doing and listen to it. If you go see the rest of the family, you notice that this, is fixed. I can't switch it from parametric to shelf. I have a dedicated shelf EQ. This brings a conversation, Why? This EQ was intended to help people who don't necessarily have a lot of experience EQing, being comfortable. So, less options is always better. And one knob does one thing is great. You wanna a shelf, you turn it on, you use a shelf. And then, if you wanna start playing with the Q, you can. But the default is designed for you to not screw up too much. We have a low frequency that can be switched between a 6 dB shelf, a 12 dB shelf or 24 dB shelf. Oh no! What could that be? Well, easy, check it out. So you know what's going on. This is a 24 dB shelf. This is 12 dB shelf. This a 6 dB shelf. The thing is, when you switch to shelf, you no longer have Q control, this is fixed. But I would guess because of the combination of two factors. Number 2, trying to create a tool that's easy to use and easy to understand because there are so many tools and they are so difficult to understand. One of the reasons why all these EQs behave the same is because that's one of the few standards we have, let's enjoy them. But then everybody has an idea of how they can do it better, and there goes the standard. Another type of parametric, probably with a different Q system. Or four different kinds of shelfs, goodness, gracious. The next band over can only be two different kinds of parametric, and the high-band can be the same mirrored, parametric or high-shelf or low pass. So basically, different philosophies same exact stuff. You have a shelf, you have a parametric, you have the gain, you have frequency and then you have Q and they all interact, in subtle manners. And they all kind of do the same. My feeling is that most of this built-in EQs from the DAWs are gonna sound the same. Probably not that different, no matter what you convinced yourself of. Why? Because they are not trying to emulate analog EQs. They push 2 dB at 10K. Two dB at 10K is 2 dB at 10K. The Q of the shelf to push 2 dB at 10K, that's where the difference is. But 10K, 2 dB, that's it. Now, we're not talking about garage DSP doctor, kind of like home-made EQs here. We're talking about engineers who use great algorithm, we're not talking about badly programed stuff. But on a quality plug-in, you add 2 dB at 10K, in EQ 3, and you add 2 dB at 10K in the channel EQ in Logic, it's 2 dB at 10K. Let's move on and focus on the music. Because all these plug-ins are all built-in DAW plug-ins, they come for free with the DAW. Those who designed these plug-ins had the mission to make sure that you felt that when you bought the DAW you wouldn't have to buy a plug-in to EQ. Consequently, they do pretty much everything. So they all have high-pass and low-pass filters. These is called the high-pass filter. So I'm high passing to 500 Hz. Does this mean that everything below 500 Hz is gone? No. Because we have slope here. Meaning that if our key frequency, the frequency at which we start the process, is 500 Hz, we start with no cut there, and then it goes down 6 db, it gets 6 db quieter octave by octave. So, 2 octaves, 12 db down. Three octaves, I'll let you do the math, 18. Why is this useful? This is useful because this is very gentle. And it's very different from a shelf. Right? But the filter does this. This is very useful to get rid of garbage at the bottom. It's also very useful to kiss the bottom of things that are a little too fat, say a vocal for example, without having to deal with a lot of artifacts on the signal. Because we live in the modern world, and this is digital, they were able to push the envelope. An 18 dB per octave curve, You could could have, 24. And some plug-ins go all the way up to 96 dB per octave, basically, a cliff. But these days most of the filters sound good. And this is a good way to clean up your material. Now, one thing you have to be aware of is that, if you use the 6 db per octave filter at 500 Hz, you will touch above 500 Hz. You will have some effect above 500 Hz. None of this is as clear cut as the settings say. So it's always very important to listen to what you're doing and to compare. This is our good friend Will Knox. This is with no processing. So you hear that little 'mmm' at the bottom, right? Check it out. This video is not about how to use an EQ, it's about what the controls are. But check this out, because it's fun. I'm gonna high-pass the vocal as far as I can. But then the ring comes back. So that's not working for me. Let's go back to 6. Without you hear the mask come on. I think that the filter, the high-pass filter sounds more natural. Check it out. You hear a little bit of resonance here and there. Maybe I haven't set it right, maybe I should have a faster Q and a lower frequency. I tend to like high-pass better for bottom on male vocals. That's how my brain functions. Maybe you like this better. Even though they operate now, roughly at the same frequency. You can tell there's a difference in how they handle the material. Some people, also call it, a low cut filter. The difference between a high-pass and a low cut filter is none. It's the same thing, it's just designed to confuse you, to make sure that you're absolutely sure to not remember what anything does. So a high-pass, high pass. It let's the high frequency pass. But it cuts the low end. Or a low cut, is a same thing. Some companies push the trickery to having something called the low cut filter here, but then, you have an option for a high-pass here. Which, if you ask me, is a crime against humanity, since they're the exact same thing. So we have low cut here, and high-pass here, and it's the same. In Studio One it's called a low cut. Which is the easier term. You'll noticed that it has a Q and you can overshoot, you can make it ring. You should play with this, it's really fun. For example, if you have an 808 bass drum that's a little anemic but it's also too fat below the place you want it to be fat, with this filter you can just cut the bottom and go nuts. And adjust this ringing frequency just like the resonance of a synth and make it go crazy. And you have your frequencies here. Of course, we have low pass filter which does the same thing. Why would you use a low pass filter? Just like I did with the vocal, sometimes you have things that are too bright. And then you EQ them down and they sound dark. That thing where it's too dark to be natural. Very often you'll find that using a filter, as opposed to a shelf or parametric, is more natural and more transparent. And you'll be able to actually get something that's too bright back into life. The principals are the same. You have ranges, you have slopes and frequencies. And that's it. You can't have it both ways, except in Cubase where you can have it which way you want. Ain't that fun? And you could have both at different slopes which is like super super confusing. That said, the high-cut low-pass gets a lots less used than the high-pass low-cut. In the past, EQs looked like this. You recognize the familiar parameters. A gain, which is your input gain. This is the high-frequencies, it's fixed. Meaning, you can't change the frequency. Here, this is gain, and this is your frequency. This is the way it used to be. Frequencies were fixed for design reasons, for technology reasons. So somebody picked the frequencies for you. In this case Rupert picked the frequencies and apparently he has pretty good taste. So this is a semi parametric EQ. The 1073, because you can pick the frequency but not all of them, but you can't pick the Q. The Neve had a proportional Q and it was pleasant enough and useful enough that everybody wants to buy this no matter what's the price. The bottom here is a fixed shelf. So essentially, this EQ, which is worth U$ 10.000,00 in the hardware version, in the free market, has one fixed knob, so this one you can use this as is, don't touch it. You have one middle knob, right here, this one, where you can't touch this guy. And you can touch this guy but you only had 6 choices and you could use this guy. And then you have the bottom guy which is stuck in shelf and you can't touch this. And you can't touch the Q. And then, you have a high-pass filter but you can't touch the slope. is a lot more powerful than this. So why do people swear by this and not this? Good question. It has to do with several things, in my opinion. And this is a highly volatile subject. My opinion is: Too many options is a problem. Unless you really spend time figuring out what's going on with this settings and you own them, there's not a shadow of a doubt of the interaction between gain and Q, the difference between the feeling of a high-pass filter and a low shelf. When you own that stuff and it's part of you intuitively, than you'll be able to do a lot with this that you never do with this. If, you're kind of confused or you like working very fast, or you've been working the same way, for years. You'll be more comfortable with this because, why would you want more options if the preset options that Rupert picked for you are great? You know. This is great. Let's use this. The other consideration is that an EQ like this one is not a transparent EQ. And this, are designed to be transparent EQs. They have no sound of their own. This was modeled after a piece of hardware that has transformer inputs and transformer outputs for example. And it has a bunch of electronics in it. And because of the restrictions and limitations of the electronic design of the 60's and 70's, it gave tone to the material even when not EQing anything. If you turn on a Neve EQ, with all the gain at zero, and you turn it on, it will change the sound of your material. If you take this EQ and turn it on and you have no gain anywhere, it will not change the tone of your EQ. And if you have a digital EQ that's not supposed to emulate anything that changes the sound when it doesn't EQ, get rid of it. This is EQ right here has a tone. Makes people feel like something is going on. It's also guiding them through the process by the experience of the designer. This EQ, you're on your own and there's a lot of parameters. I think that's why this EQ is very popular. Are these controls easier to use than this? No. You don't have a graph. You don't know what you’re doing. Here you can just grab a little dot and move it around. Here you have to kind of like, you have to click here and everything. So, control wise, the 1073 emulation is not better. Tone wise, it gives you something that this will never give you. If you wanna raise 2 db at 10K and you're happy with your sound, you just want it to be brighter, use this guy. If you want some transient control, a little kind of like fatness coming on because of the transformer emulation, use this guy. If you're given the option of using this guy versus say... This guy. I would use this guy any day because my brain, small brain, doesn't function well with the API stuff. I'm not comfortable using this. I just never know what frequency it is. It never feels good, to me. I love the way it sounds, there's been generations of engineers who make the most fantastic sound records with this stuff. I can't, I hate it. I will not be able to get the same sound with this. Is this a better sound? No, it's a different sound because it emulates the input and output transformers and whatever circuitry is in here. And this just raises this frequency. If I want control over the Q I'm out of luck here. That's is why you need to know your settings and you need to know what they do intimately that will allow you to choose your plug-ins wisely, regardless of the amount of marketing you've been subjected to on the quality of this plug-in or this plug-in. Besides the sound, the available settings will help you fix problems beyond what the analog emulations can do. Because of the capabilities of the digital format, laws of physics not withstanding, the new EQs can do a lot of stuff. 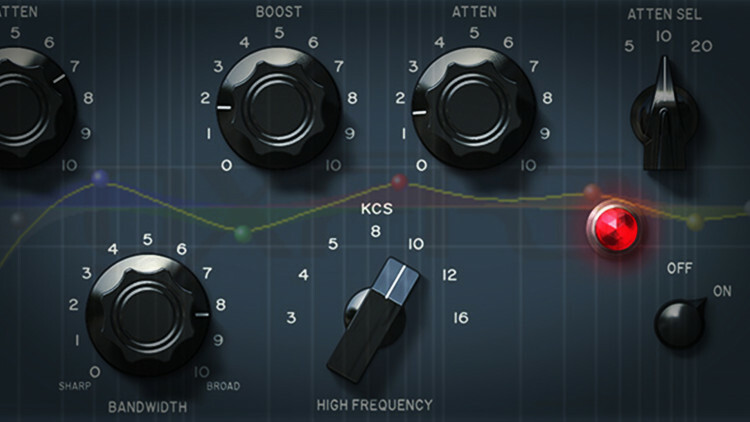 Some designers, like for example, the guys at Flux, make this unbelievably easy to use super clean sounding EQ. And every band can be anywhere. We can go down to 13 Hz all the way down to 24K. Well that's great because say you're looking for something and you're a little confused, and you get confused by the harmonics and you're looking at 10K, and the problem is not at 10K it's at the root of whatever is making 10K sound ugly. I don't know, 5K or 2.5K. Fair enough, so you can do it with the same band. Here on the Neve, you can't do that. If you wanna do 4.8K you have to go here, you can't do 4.8K up here. And most of the old analog EQ had fixed frequencies for the reasons aforementioned. Now, here, I can take this frequency move it up to here. So say I'm working on something and then, you know, I'm sliding. And now my fourth band is taking care of my bass drum at 30 Hz. And then my first band is all the way up here at 10K. If you don't pay attention you'll find yourself with 5 bands doing stuff not at all in range of what they were designed to do. "What?" Some EQ manufacturers found a solution. These guys have decided to limit the range. So this goes from 100 to 6K. This goes from 600 Hz to 1800 Hz. So, these you can always find these more or less, within the range of their physical position in the interface. Some people find that limiting. Some people find that really great because it forces them into a certain discipline. I use the Sonnox EQ very very much. Half the time I'm delighted that it is limited, and half the time it drives me insane because I really would like to bring this down to 90. And I can't, and I have to reset it and I have to come here, but this one may be already used. So, there's give and take in all situations. Part of the time it feels restricting, and part of the time it feels like: Yes, I have a guideline that I'm gonna follow that's gonna allow me to not make chaos with my plug-ins. It really depends on the philosophy and emotional make-up of the designer of the interface. The high range goes to 20K but stops at 1.80K. And this goes to 18K and stops at 200. So this is in between the Sonnox and the Flux plug-in. Over time you'll learn every setting and every knob, and every interaction in your EQ plug-in arsenal, of which you have too many, I'm pretty sure, because everybody has too many, and you'll find what limits you and what motivates you. What's really important is that it's based on knowledge and not on hunch. Because secondhand hunch can kill you. Other wonderful settings or functions of digital EQ are dynamic graphs. We've seen these graphs. They help you understand what's going on because of the way they are designed they let you really understand what's getting cut and stuff like that. This is great, you can see what's going on, it saves time. There's a new kind of graphs that some companies have been developing which are dynamic graphs. analysis of what's going on. This could be very useful to figure out what the problem is when you have a big problem. This case this is pretty OK recorded. You can hear and see a little bit of that bump here. And then if I raise, you can see after. And then you can see before and after. The bottom curve is pre-EQ and top curve is post-EQ. Very practical to learn what you're doing and also to figure out what's going on when you've been mixing for 12 hours and you have no idea of what you're listening to anymore. That's a very good feature, they have the same kind of stuff in Logic built-in EQ. You have an analyzer, you can see pre or post, you can't see both. You can turn it on here. Some plug-ins have it, some plug-ins don't. It's not a sign of quality, again, it's a sign of the philosophy of the EQ designer. These built-in plug-ins are trying to do everything for you so that you don't feel have to buy another one to be able to do some work. Let's talk about some of my favorite weird birds. This is one hell of a weird bird. At the time, it was the only bird worth it's salt. It's two birds into one cage. You have the top bird and the bottom bird. This is a an MEQ 5 which was a mid-range EQ. And this is the EQP 1A which was a high and low EQ shelving. There's a lot of mystique around those because they sound very special. Mostly they sound special because they were inductor EQs and that gives it a certain sound, and because of all the transformers on inputs and outputs and inter-stage. And that also shapes the sound beyond the EQ. If you run audio through this, without any EQ, it will sound different. And sometimes people think that it's different better. And sometimes people think it's different not better. Most people think it's better. These have been discussed to death but I'd like to attract your attention to help you visualize something. We wanna make this efficient." You can boost this frequency or maybe you wanna cut these frequencies. And because engineers and producers are who they are they decided to boost and cut the same frequency. And then something happened, but what happened? Nobody could really tell for sure except the real engineers. Idiots like us, who don't have a scope and don't know exactly how things go, you know, we push this and then we cut this and we'd do things and it created a lot of mystique around it. Let me show you where this goes on. It's not that complicated when you can look at it. I'm gonna create a shelf here and I'll create another band here. And turn into also a low shelf. So now I have two low shelf, alright? I'm gonna go to my first low shelf and set the frequency to say, 100. Say... Five dB of gain. Fair enough? Then I'm gonna take this band and set it to low shelf, already done, and I'm gonna go to the same frequency, 100. And I'm gonna cut the gain also 5 dB so it should in theory cancel itself. Since we have 5 dB of gain on the shelf here, which is right here, and 5 dB of cut, on the shelf here, at the same frequency. It should cancel itself. The thing is, if you use two different Qs, because this and this have different Qs, then you get this. And depending on the Qs and I don't know if this example has the exact Qs of a Pultec. What I hear from a Pultec is a little bit like this. So because the boost and the attenuation have different Qs, what you see is this. This is what's happening when you use a Pultec boosting and cutting the same frequency. Which is kind of cool. Why is that cool? Because with just 2 knobs and one frequency, you can have a bump and then you can have a nice little dip here. And it just so happens that if you set it at 100 the dip is in 120 to 180 area where is great to have a little bit of a dip because that usually sounds muddy on a lot of instruments. And a lot of people discovered that and took a lot of advantage of it. Which is part of some the mystique of this thing. These days we have this guy, we can do anything. With this guy, all you can do is boost a little bit here, boost a little bit here. Boost a little bit at 5K or 1K, cut in the mids and boost a little of the bottom, that was it. And you didn't know and couldn't see what you were doing and it was not like, a 5 dB thing, it was not measured. It was pretty by ear only. And by ear only is cool. By the way, kudos to the good people at Oxford for having an ears only mode. Isn't that nice? If you work this way you can actually pay attention to what's coming out of the speakers as opposed to looking at it. Another interesting and wonderful outboard is the Massive Passive. Whether you have it in hardware or software a lot of people are confused about this. I get emailed about this. Basically, this knob is your gain knob and it can either be boost or cut. Let's boost the hell of of the frequency you go this and then you wanna cut it you just press this button right here. Every band could be shelf or bell, which means you could do the same trick as what we just saw with the Pultec. You boost one, you cut one, you have slightly different Qs, at the same frequency you get the same thing. And you have filters right here. You'll see here that the ranges are fixed for you. 22 to 1K, 62 to 3k. 220 to 10K, and 56 to 27K. They overlap. But they are kind of forcing you into one area per band which is because it's an emulation of a physical hardware and this is the way the designer thought. This is a trick you want to use sometimes because this settings here are really intense. If you're going at 12K on shelf and boost you see you're already hitting 3 buttons to get to this point. Once you get used to it, most people think that the sound is really worth it. I strongly recommend you spend time, if you have this plug-in or if you plan to use this plug-in, checking out the high band like this, on a vocal, around 10K, and play with the shelf, and play with this Q system. And remember, it's gonna do that cut and knee thing. And it's really really powerful, not to be played with lightly. Another odd looking bird, which is a great example of how and the UI can throw you off a little bit. They somehow decided to put the low end to the right and the high end to the left. That doesn't make a lot of sense to me. But that's how it was on the console. And also, they have faders instead of knobs. Do you have a visual rendition? Can you see right away what the sound is like? Absolutely not. The saturation sounds bananas. I strongly recommend you try it. Here's another wonderful odd bird that has to be described because Bruce Swedien used it on his Harrison console. Check this out, we have semi parametric bands. This actually is a shelf but they don't really tell you. This can be a shelf or not based on this button. So, if this is not pressed, this is a shelf. If this is pressed this is a semi parametric where you can choose the frequency, the gain, but not the Q. The filters are very interesting. This is the sound without the filter. Notice that the filter is on zero. There's nothing at the high pass. And there's nothing on the low pass. You're gonna have to pick a camp. There's a low-cut camp, and there's a high-pass camp. In this case, I'm gonna do high-pass / low-pass. So the high pass knob and the low pass are on stun. Which means that if I turn this one I should hear no difference. But because they modeled the console, the 'In' button actually makes a difference. First, the sound of Will's voice raw with the filters disabled completely. Listen to the words 'Clouds of sugar' 'sparkle' and 'wind'. And now with the filters that are supposed to do nothing because they're basically out. It's a little more together. Doesn't have that little mask on 'sparkle'. That's due to the circuitry emulation that the UA people have done on this. Now, let's listen to the filter. This doesn't sound like a low-pass filter at 12 db/octave at 130 Hz to me. Will tell me the truth. So, 12 dB/octave, 130 Hz. Let's use the markings, let's do 160. It's a fair test of the emergency broadcast system. OK, great, this has to be off. Here we go. This is the Harrison version of a low pass filter at 160. The Harrison is a lot muddier and has a lot more resonance. So, what this says is not necessarily true. I can guarantee you that this says 2.8 kHz here. It wants to be 2.8 kHz when it grows up, if it grows up but it's probably not 2.8 kHz. You should consider this settings on most plug-ins, are indication of what they'd really like to reach. But because of the limitations of the medium, very often you'll find that it ain't true. Probably the oddest birds of them all. This guy! Now, that is odd! If you come to this without a solid knowledge of how EQ functions and must function, then you could look at this for a while to figure out what's going on. This has a fascinating thing. This knob right here is your bass knob on the Helios 69 plug-in. If you go below zero here this a fixed shelf at 50 Hz. So you can go -15 at 50 Hz. But if you go above the zero now this becomes a positive shelf at whatever frequency you choose, with this knob being the gain. That did not exactly jump to mine the first time I looked at the plug-in. Because I never had a Helios, because there's not that many in the world. So, I'll say that again. If you are above, this is a shelf, this is the gain. If you're below zero this serves no purpose, still there but serves no purpose and the shelf is fixed at 50 Hz. Isn't that insane? And this is all the same, it's a little bit like the Massive Passive. This can be gain or can be cut. This is the frequency, they are fixed. Why would one wanna use this EQ since it's very restrictive? For the tone. But if you don't really have a solid understanding of what's going on settings wise, you could scratch your head for a while trying to figure out what to do with this stuff. Collin, at McDSP said: "I'm good at modeling stuff". He is. So, why don't I model a bunch o different EQs and put them all in one plug-in where you could have the settings of one EQ carried over from model to model. I think this is a very interesting example because instead of falling in love with the interface, you could listen and then you could listen to the different sounds. Let's call this, British E, I wonder what's that for. This EQ has the same settings but has no markings. OK, so we have this, that's pretty cool. There's a high-pass, let's use that. So what would that sound like with this? Hard to listen to, how about this one? Isn't that interesting? How about this one? They're all the same settings. A new type of EQ that digital has afforded us is called Linear Phase EQ. A lot of people think that linear phase EQs sound better because they are linear. I don't think so, you have to listen for yourself but I don't think that's the main appeal to linear phase EQ. The main appeal to me, to linear phase EQs, is that they allow you to work on the bottom of two phase related instruments without screwing the phase. Don't forget, whatever you use a regular EQ, on say, 2 bass drum, inside and out, and if you already like the relationship of the two bass drums and you just wanna make one fatter than the other, you will have phase issues, that's the principle of EQ is manipulating phase. So if you already have a relationship you like and you need to EQ the bottom of one of those two tracks, a linear phase EQ is amazing for that because you can do the work get the EQ for that one track and not screw up the relationship between the two. It's a little bit like having a regular EQ plus a phase alignment. Except it's faster and not as complicated, let me show you. This is a bass drum. The sample, to try and fill the holes. The two of them together sound like this. has all sorts of mask and stuff. So I'm gonna take an EQ like the Pro-Q2, and I'm gonna listen to the inside bass drum, and find out what the problem is. Since we have a real-time analyzer you can see that there's a huge burst of energy right here. Right. Why not? That's good enough for jazz. So, now, if I put this back together with the other, the sample. There's lots of weird stuff going on. As a reminder this is what happened before we had the EQ. The problem is this, if you listen to the inside bass drum by itself, It holds together. Sample by itself. Something goes away compared to this relationship before the EQ was in. Right, you feel that rub. "Yeah the reason why it's slim it's because you're removing fat from the inside bass drum." No, that's not true. If you listen to that in solo, this is the raw track. So it's slim but it doesn't have the mask. So it should be better. So, here's the trick, listen to the two of them together. And then switch to Pro-Q2 to linear phase. Why is that? Because you're working in the 80 Hz range. It would be even more drastic if you're working in 30 or the 40 Hz range. The low end is very sensitive to phase alignment. You are changing the phase relationship between these two tracks by using this EQ. If switch to linear phase EQ you no longer are changing the relationship between the 2 tracks as much. Because this EQ is doing the working of EQing and then realigning the phase, so that there's no phase shift do to the EQ itself. And the difference again, is like this. This is with a linear phase. This may not be night and day, but it's a huge difference if you're trying to make a fat record. Whenever you find yourself adjusting one or several tracks that are phase related, most of the time at the bottom of your record and you're struggling. Try the linear phase EQ. One more fun thing that sometimes confuses people. What's Tilt EQ? Tilt EQ is this, imagine this. You have a center frequency and imagine if you could in one knob, have a high shelf and a low shelf do this. Or basically, rotate all the frequencies this way. That's what a Tilt EQ is. See what I mean? And all in one knob. This one by Tonelux, which is a software emulation of a hardware unit, let's you do this way. So as I raise the high end the low end goes away. Or, as I raise the low end the high end goes away. This is a really nice, fun and quick way to do a fast adjustment on the whole mix. So if you see a Tilt EQ, don't be scared. It really can be a quick way to adjust the tone, the overall tone of a track, without having to deal with many settings and stuff like that. Before we part on this wonderful journey through EQ settings, I'd like to send a shout-out to the amazingly inventive people that come up with new tools everyday. There's amazing amount of stuff that's just mind-boggling. Some of them are super useful, Some are just crazy and complete useless, but fun nonetheless. One of these guys is the guys at Sound Radix for example. This is one example but I love what these guys are doing. This is called Surfer EQ. Since we're on an EQ video, I thought we'd look at it. What is this? Well, it's an EQ. You turn it on, and then you have Will. And there's the same mask, and then so you turn on the band, you look for it. OK fine. That's too fat. Then you remove a little bit. And we heard before that's not necessarily perfect, maybe we're gonna use a high-pass filter, maybe we'll use a little dip. Whatever, we do our thing, the usual way. OK, it's a little better. It's a little thin though. Track the pitch, focus on the frequency that the singer is at and follow that." Which is wild when you think about it. So now, you have and EQ that's a little bit like a synthesizer filter. When you play a synthesizer and you have a filter, the higher up you go the more the filter follows, otherwise, if you had the low pass filter, and you went to the high end it'd get darker and darker as you go up. This is kind of like that philosophy applied to EQ. It makes it more precise. Say, if you remove a resonance and you hit it in this one frequency. But the singer sings a different note. When the singer sings a different note, that resonance is gonna move with. Well, in a tradition EQ you can't really do that, you kind of like, shoot for the best. This EQ let's you track the pitch of the instrument and follow, and let you remove that resonance at the pitch. It sounds like this. You turn the Surf on here. You still hear that thing on 'Factory wheels'. Isn't this wild? I'll play it again. Then we just EQed, traditionally. Did you know about this? I didn't until a few weeks ago. And there are a lot of this tools out there. We can do hundreds of hours of videos on all those tools. But now that you know all the settings, and you have a good concept of what they do, and you can really tell what they disguise themselves as, from platform to platform, you can pretty much understand any tool out there without us having to tell you how they work. Juste génial, mais j’ai une question : est-ce qu’on peut catégoriser les EQ selon l’utilisation qu’on en fait ? Par utilisation, je veux dire si on enregistre, mixe ou masterise. En tout cas, merci pour ces brillantes explications. Wonderful Fab! Thanks for remind us that the power of an EQ shouldn't be subestimated. Please ITALIAN subtitles. Thanks for all and good work! Great tutorial, thanks! Just like to have seen dynamic EQ covered as well. Or is this more a compression related topic? Thanks, PM tutorials are of great quality and fun to watch. L.
Fantastic tutorial. Has to be one of your best. Everyone needs to see this. I'm guilty of having to many EQs, mostly too that having only the knobs, by using your ears. But the visual EQ to me is the best way to mix. Very interesting, thanks. Great video Fab! I like the approach you took and I learned some very useful information. Nice video Fab. I like how you emphasized when a linear phase eq can be very helpful with the kick drum example and mentioning if you have a problem with the bottom of your mix, you might have a phase issue. thanks Fab! I was surprised the Surfer EQ, thanks for your tutorials!!!! Really great video. I'll surely watch it again, and again, and.......Thank you Fab ! I really enjoy these Tutorials ! Really useful video. I find that I actually eq like Fab said "going down a rabbit hole". In my mind I am making things clearer but in fact I am making things less real and harder to emote feelings from. Wonderful lesson!! Renault?? Are you serious my capitain?! Useful video nevertheless! Thanks! This is a serious and essential lecture. It's a great video! Thanks! Another outstanding lesson from Fab. Just happens to be exactly what I've been trying to learn and get better at. And always with the bonus nuggets of info, tips, tricks, ways of looking at things, what to listen for etc... Even if you think that you already know about a topic, watch Fab's lesson on it anyway, you'll be glad you did.